Audax Artifex: February 2012 Daring Cooks' Challenge: Flipping Fried Patties!!! 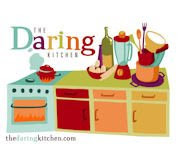 February 2012 Daring Cooks' Challenge: Flipping Fried Patties!!! Hi it is Lisa and Audax and we are hosting this month's Daring Cooks' challenge we have chosen a basic kitchen recipe and a basic cooking technique which can be adapted to suit any ingredient that you have to hand and are beloved by children and adults alike … of course we are talking about patties. Technically patties are flatten discs of ingredients held together by (added) binders (usually eggs, flour or breadcrumbs) usually coated in breadcrumbs (or flour) then fried (and sometime baked). Burgers, rissoles, croquettes, fritters, and rösti are types of patties as well. Irish chef Patrick "Patty" Seedhouse is said to have come up with the original concept and term as we know it today with his first production of burgers utilizing steamed meat pattys - the pattys were "packed and patted down" (and called pattys for short) in order to shape a flattened disc that would enflame with juices once steamed. Patties – patties are ingredients bound together and shaped as a disc. 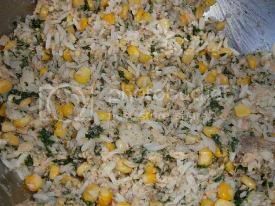 Röstis – use eggs (sometimes with a little flour) as the binder for the grated potato, carrot and other root vegetables, typical usage for 500 grams (1 lb) of filling ingredients is one egg yolk (potato rösti). Sautéing, stir frying, pan frying, shallow frying, and deep frying use different amounts fat to cook the food. Sautéing uses the least amount of oil (a few teaspoons) while deep frying uses (many many cups) the most oil. The oil helps lubricate (sometimes adds flavour) the food being fried so it will not stick to the pan and helps transfer heat to the food being cooked. In particular, as a form of cooking patties, pan- and shallow-frying relies on oil of the correct temperature to seal the surface (so retaining moisture) and to heat the interior ingredients (so binding them together) so cooking the patty. The exposed topside of the patty while cooking allows, unlike deep frying, some moisture loss and contact with the pan bottom with the patty creates greater browning on the contact surface that is the crust of the patty is browned and the interior is cooked by pan- and shallow-frying. Because the food is only being cooked on one side while being pan- or shallow-fried, the food must be flipped at least once to totally cook the patty. So this month's challenge is to pan- or shallow-fry a patty, so giving us the title for this challenge “flipping fried patties”. This challenge will help you understand how to form, what binders to use, and how to fry a patty so that it is cooked to picture perfect perfection. Recipe Source: Audax adapted a number of popular recipes to come up with the challenge patty recipes and Lisa has chosen to share two recipes – California Turkey Burger adapted from Cooking Light Magazine, and French Onion Salisbury Steak adapted from Cuisine at Home magazine. Blog-checking lines: The Daring Cooks’ February 2012 challenge was hosted by Audax & Lis and they chose to present Patties for their ease of construction, ingredients and deliciousness! We were given several recipes, and learned the different types of binders and cooking methods to produce our own tasty patties! Eggs – are found in most patty recipes it acts as a binder, use cold eggs and lightly beat them before using If you cannot use eggs try this tip "1/4 cup of silken tofu, blended, or a commercial egg re-placer powder mixed with warm water." 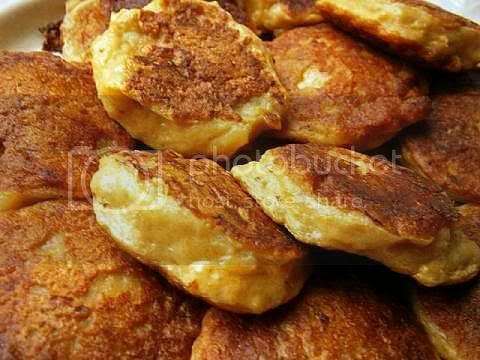 Flour – normal plain (all-purpose) flour is used in most fritter recipes it can be replaced with rice, corn or potato flours (in smaller quantities) in some recipes. If you want some rise in your patties then use self-raising flour or add some baking powder to the flour. 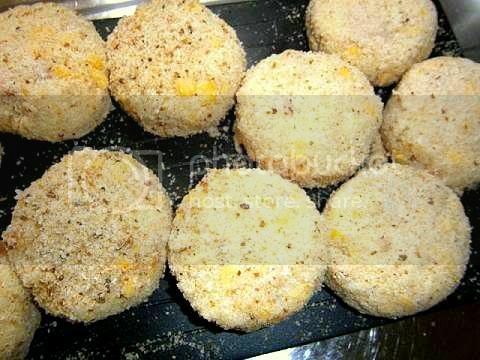 Breadcrumb Preparation – breadcrumbs are a common ingredient in patties, burgers and fritters they act as a binding agent, ensuring the patty keeps it shape during the cooking process. Fresh breadcrumbs – these crumbs are made at home with stale bread simply remove the crusts from one- or two-day old bread, break bread into pieces, place pieces in a blender or food processor then blend or process until fine. Store any excess in a plastic bag in the freezer. 1 cup of fresh crumbs = 3 slices of bread. Packaged breadcrumbs – often called dry breadcrumbs, these are used to make a crisp coating on the burgers, patties and fritters they are easily found in the supermarket, You can make them at home. Place slices of one- or two-day bread on baking trays, bake in the oven on the lowest setting until slices are crisp and pale brown. Cool bread, break pieces in a blender or food processor then blend or process until fine. 1 cup fine dry breadcrumbs = 4 slices of bread. Alternate binders – bran (oat, wheat, rice, barley etc) can be used instead of breadcrumbs in most recipes. Tofu (silken) can replace the egg. Also using mashed potato (or sweet potato, carrots, most root vegetables) and/or mashed beans can help bind most patties. Of course chickpea flour and most other flours can be used to help bind patties. Seeds, nuts and grains can help bind a patty especially when the patty has cooled after cooking. These binders are used in vegan recipes. Moisteners – Mayonnaise and other sauces, pesto and mustard are used in some meat patty recipes mainly for moisture and flavour but they can act as binders as well. 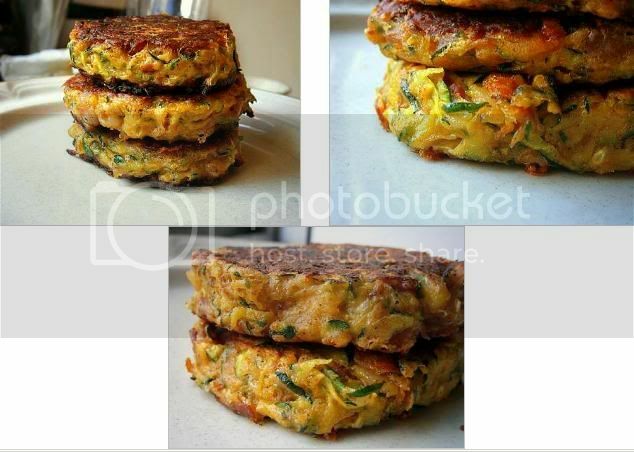 For vegetable patties you can use chopped frozen spinach, shredded carrots, shredded zucchini, shredded apple and cooked grains to add extra moisture. 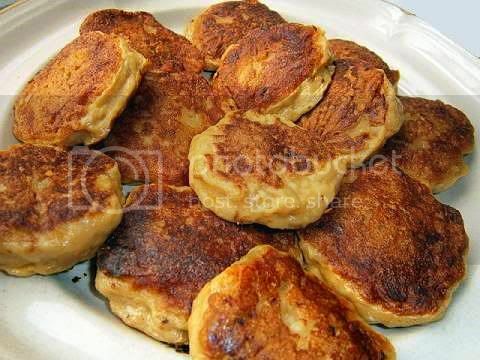 Also sour cream and other milk products are used to increase the tenderness of patties. 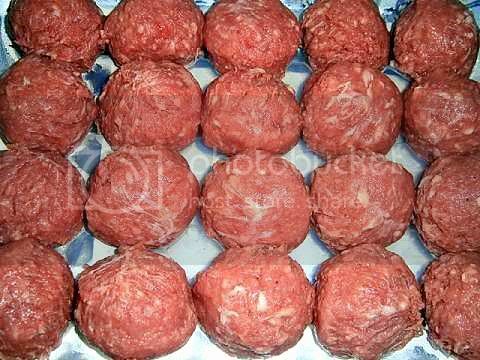 When making meat patties the higher the fat content of the meat, the more the patties shrink during cooking this is especially true for ground (minced) red meat. Make patties larger than the bun they are to be served on to allow for shrinkage. For hamburgers keep the fat content to about 20 - 30% (don't use lean meat) this ensures juicy patties when cooked. Also use coarse freshly ground meat (if possible) to make patties, if the mixture is ground too fine the large patties will break apart since the protein strands are too short and are covered in fat and can only bind to nearby ingredients so when the large patty is cooked it will fall apart or be too dense. 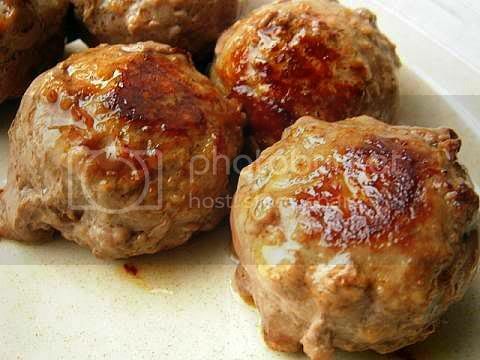 Compare this behaviour with small amounts of finely ground lean meat (almost a paste) where the protein can adhere to itself (since the protein chains are short, not covered in fat and all the ingredients are nearby) hence forming a small stable patty (lamb kofta, Asian chicken balls, prawn balls). Patty mixtures should be kept cold as possible when preparing them and kept cold until you cook them the cold helps bind the ingredients together. Don't over-mix the ingredients the resultant mixture will be heavy and dense. 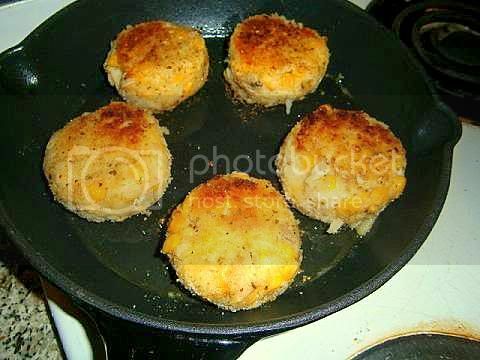 For meat patties chop, mince, grate the vegetable ingredients fairly finely, if too coarse the patties will break apart. 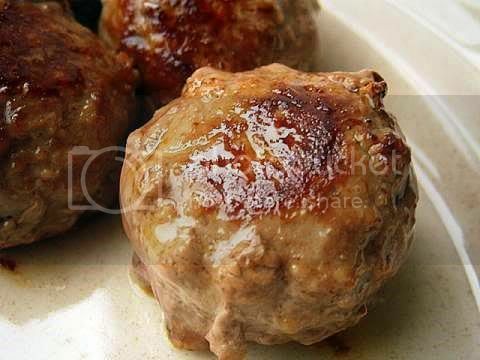 Patties made mostly of meat (good quality hamburgers and rissoles) should be seasoned just before the cooking process, if salted too early liquid can be drawn out of the patty. Make all the patties the same size so they will cook at the same rate. To get even-sized patties, use measuring cups or spoons to measure out your mixture. For patties use your hands to combine the ingredients with the binders, mix gently until the mixture comes cleanly from the sides of the mixing bowl. Test that the final mixture forms a good patty (take a small amount in your palm and form into a ball it should hold together) before making the whole batch. Add extra liquid or dry binder as needed. Cook the test patty to check for seasoning, add extra if needed then cook the rest of the batch. Usually patties should be rested (about an hour) before cooking they “firm” up during this time, a good technique to use if your patty is soft. Always wrap patties they can dry out if left in the fridge uncovered. Dampen your hands when shaping patties so the mixture won't stick to your fingers. If making vegetable patties it is best to squeeze the grated/chopped/minced vegetables to remove any excess liquid this is most important for these types of patties. When making fritters shred your vegetables because it makes long strands that gives a strong lattice for the patties. A food processor or a box grater is great to use here. For veggie patties make sure your ingredients are free of extra water. Drain and dry your beans or other ingredients thoroughly before mashing. You can even pat them gently dry with a kitchen cloth or paper towel. Vegetable patties lack the fat of meat patties so oil the grill when BBQing them so the patty will not stick. Oil all-meat burgers rather than oiling the barbecue or grill pan – this ensures the burgers don’t stick to the grill allowing them to sear well. If they sear well in the first few minutes of cooking they’ll be golden brown and juicy. To make it easy brush the burgers with a brush dipped in oil or easier still use a spray can of oil. 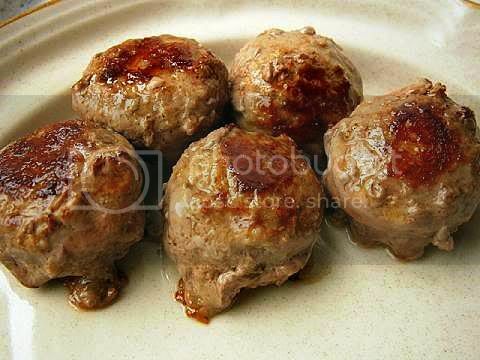 If you only have very lean ground beef try this tip from the Chicago Tribune newspaper “To each 1 lb (½ kg) of ground beef add 2 tablespoons of cold water (with added salt and pepper) and 2 crushed ice cubs, form patties.” it really does work. A panade, or mixture of bread crumbs and milk, will add moisture and tenderness to meat patties when the burgers are cooked well-done. For vegetable patties it is best to focus on one main ingredient then add some interesting flavour notes to that major taste (examples carrot and caraway patties, beetroot, feta and chickpea fritters etc) this gives a much bolder flavour profile than a patty of mashed “mixed” vegetables which can be bland. Most vegetable and meat/vegetable patties just need a light coating of seasoned breadcrumbs. Lightly pat breadcrumbs onto the surface of the patty there is enough moisture and binders on the surface of the patty to bind the breadcrumbs to the patty while it is cooking. 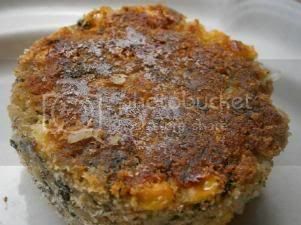 You can use wheatgerm, bran flakes, crushed breakfast cereals, nuts and seeds to coat the patty. Use fine packet breadcrumbs as the coating if you want a fine smooth crust on your patties use coarser fresh breadcrumbs as the coating if you want a rougher crisper crust on your patty. Flip patties once and only once, over-flipping the patty results in uneven cooking of the interior and allows the juices to escape. Don't press the patties when they are cooking you'll squeeze out all of the succulent juices. Rest patties a while before consuming. Shaping – Shape the patty by pressing a ball of mixture with your clean hands it will form a disc shape which will crack and break up around the edges. What you want to do is press down in the middle and in from the sides, turning the patty around in your hand until it is even and uniform. It should be a solid disc that is firm. Handle the mixture gently, use a light touch and don’t make them too compacted. Rather than a dense burger, which is difficult to cook well, aim for a loosely formed patty that holds together but is not too compressed. Depressing the centre – When patties cook, they shrink (especially red meat burgers). As they shrink the edges tend to break apart causing deep cracks to form in the patty. To combat this you want the burger patty to be thinner in the middle than it is around the edges. Slightly depress the center of the patty to push a little extra mixture towards the edges. This will give you an even patty once it is cooked. Preheat the pan or BBQ. Generally when shallow-frying patties use enough oil that it comes halfway up the sides of the food. Best for most meat and vegetable patties and where the ingredients in the patty are uncooked. 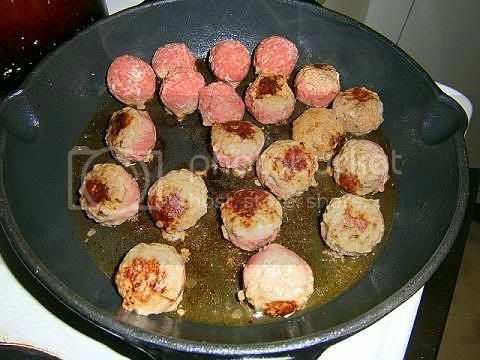 Generally when pan-frying use enough oil to cover the surface of the pan best for most vegetable patties where all the ingredients are precooked (or cook very quickly) and all-meat rissoles and hamburgers. Most oils are suitable for shallow- and pan-frying but butter is not it tends to burn. Butter can be used in combination with oil. Low-fat spreads cannot be used to shallow fry as they contain a high proportion of water. Rice bran oil is a great choice since it is almost tasteless and has a very high smoke point of 490°F/254°C. The smoke point is when the oil starts to break down into bitter fatty acids and produces a bluish smoke, Canola (smoke point 400°F/204°C) is also a great choice. Butter has a smoke point of 250–300°F/121–149°C. Olive oil Extra light 468°F/242°C. Olive oil Extra virgin 375°F/191°C. Ghee (Clarified Butter) 485°F/252°C. Do not overload the frying pan which allows steam to be trapped near the cooking food which might lead to the patties being steamed instead of fried. If you place too many patties at once into the preheated pan this reduces the heat and the patties will then release juices and begin to stew. Leave some space between each when you place them in the pan. For most patties preheat the oil or fat until the oil seems to shimmer or a faint haze rises from it, but take care not to let it get so hot it smokes. If the oil is too cool before adding the patties, it will be absorbed by the food making the patty soggy. If the oil is too hot then the crumb coating will burn before the interior ingredients are cooked and/or warmed through. 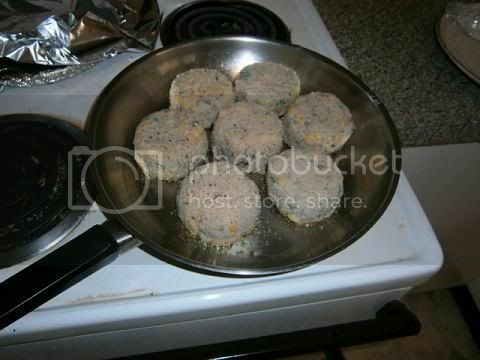 For vegetable and meat/vegetable patties start off cooking in a medium hot skillet and then reduce the heat to medium. For all-meat patties start off cooking in a very hot skillet and then reduce the heat to hot, as celebrity chef Bobby Flay says that “the perfect [meat] burger should be a contrast in textures, which means a tender, juicy interior and a crusty, slightly charred exterior. This is achieved by cooking the meat [patty] directly over very hot heat, rather than the indirect method preferred for slow barbecues”. All patties should sizzle when they are placed onto the preheated pan. Cast iron pans are best to fry patties. When the raw patty hits the hot cooking surface it will stick. And will stay so until the patty crust forms so causing a non-stick surface on the patty at this point you can lift the patty easily without sticking. So wait until the patties (with a gentle shaking of the pan or a light finger-twist of the patty) release themselves naturally from the frying pan surface (maybe a minute or two for meat patties maybe 3-6 minutes for a vegetable patty). If you try to flip it too early the burger will fall apart. The secret is to wait for the the patty to naturally release itself from the pan surface then flip it over once. Veggie burgers will firm up significantly as they cool. Most vegetable patties can be baked in the oven. Check the temperature of the oil by placing a few breadcrumbs into the pan they should take 30 seconds to brown. If you need to soak up excess oil place the patties on a rack to drain, do not place onto paper towels since steam will be trapped which can make the patty soggy, if you need to just press off the excess oil with paper towels then place onto a rack. Mandatory Items: Make a batch of pan- or shallow-fried (or baked) patties. Variations allowed: Any variation on a patty is allowed. You can use the recipes provided or make your own recipe. 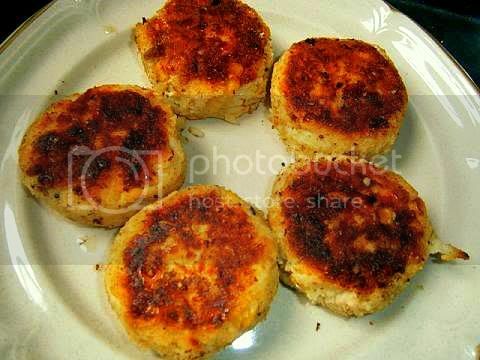 Patties: Preparation time less than 60 minutes. Cooking time less than 20 minutes. This is one my favourite patty recipes I make it once a week during the holidays. It is most important that you really mix and mash the patty ingredients well since the slightly mashed rice helps bind the patty together. 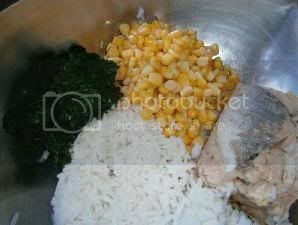 1) Place all of the ingredients into a large bowl. 2) Mix and mash using your hands or a strong spoon the ingredients with much force (while slowly adding tablespoons of breadcrumbs to the patty mixture) until the mixture starts to cling to itself about 4 minutes the longer you mix and mash the more compacted the final patty. Day-old cold rice works best (only needs a tablespoon of breadcrumbs or less) but if the rice is hot or warm you will need more breadcrumbs to bind the mixture. Test the mixture by forming a small ball it should hold together. Cook the test ball adjust the seasoning (salt and pepper) of the mixture to taste. 3) Form patties using a ½ cup measuring cup. 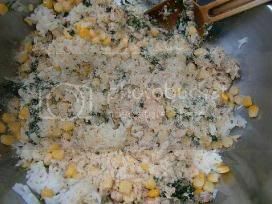 4) Cover in seasoned breadcrumbs. 5) Use immediately or can be refrigerated covered for a few hours. 6) Preheat fry pan (cast iron is best) to medium hot add 1½ tablespoons of oil and heat until the oil shimmers place the patties well spaced out onto the fry pan lower heat to medium. 7) Pan fry for about 3 minutes each side for a thin lightly browned crust about 10 minutes for a darker thicker crisper crust. Wait until the patties can be released from the pan with a shake of the pan or a light turning of the patty using your fingers before flipping over to cook the other side of the patty add the remaining 1½ tablespoons of oil when you flip the patties. Flip only once. You can fry the sides of the patty if you want brown sides on your patty. This makes a great light lunch or a lovely side dish for dinner. 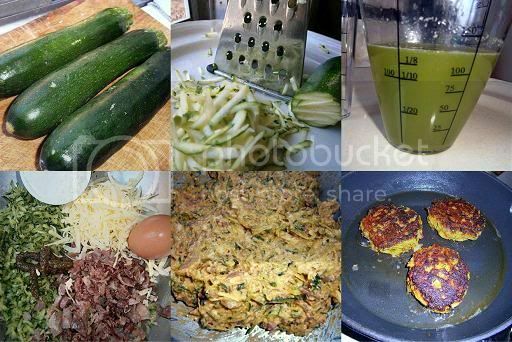 Grate the zucchini with a box grater or food processor. Place into large bowl, add salt, wait 10 minutes. While waiting for the zucchini, pan fry the prosciutto pieces until cooked. Remove from pan and place prosciutto onto rack this will crisp up the prosciutto when it cools. Paper towels tend to make prosciutto soggy if left on them. When zucchini is ready wrap in a cloth and squeeze dry with as much force as you can you will get a lot of liquid over ½ cup, discard liquid it will be too salty to use. Return dried zucchini to bowl add prosciutto, cheese, pepper, sifted flour and baking powder, chilli paste, pepper, a little salt and the lightly beaten eggs. Mix until combined if the batter is too thick you can add water or milk or another egg, if too wet add some more flour. It should be thick and should not flow when placed onto the frying pan. Preheat a frying pan (cast iron is best) until medium hot, add 1/3 of the oil wait until it shimmers. Fry for 3-4 minutes the first side, flip, then fry the other side about 2-3 minutes until golden brown. Repeat for the remaining batter. Adding extra oil as needed. Place cooked fritters into a moderate oven on a baking dish for 10 minutes if you want extra crispy fritters. Pictures of process – fresh zucchini, grated zucchini, liquid released from salted and squeezed dry zucchini, ingredients for the fritters, fritter batter and frying the fritters. 1. Prepare the grill to medium-high heat. 2. To prepare sauce, combine first 3 ingredients; set aside. 3. To prepare patties, combine shallots and the next 7 ingredients (through turkey breast), mixing well. Divide mixture into 10 equal portions, shaping each into a 1/2-inch-thick (1¼ cm thick) patty. Place patties on grill rack coated with cooking spray; grill 4 minutes on each side or until done. 4. Spread 1 tablespoon sauce on top half of each bun. Layer bottom half of each bun with 1 lettuce leaf, 1 patty, 2 pickles, 1 onion slice, 2 avocado slices, and about 1/3 cup of sprouts. Cover with top halves of buns. 1. Combine chuck, parsley, scallion, salt and pepper. Divide evenly into 4 portions and shape each into 3/4"-1" (20-25 mm) thick oval patties. Place 2 tablespoons flour in a shallow dish; dredge each patty in flour. Reserve 1 teaspoon flour. 2. Heat 1 tablespoon oil in a sauté pan over medium-high heat. Add patties and sauté 3 minutes on each side, or until browned. Remove from pan. 3. Add onions and sugar to pan; sauté 5 minutes. Stir in garlic and tomato paste; sauté 1 minute, or until paste begins to brown. Sprinkle onions with reserved flour; cook 1 minute. Stir in broth and wine, then add the salt and thyme. 4. Return meat to pan and bring soup to a boil. Reduce heat to medium-low, cover and simmer 20 minutes. 5. 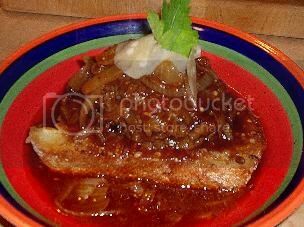 Serve steaks on Cheese Toasts with onion soup ladled over. Garnish with parsley and Parmesan. 6. Preheat oven to moderately hot 200°/400ºF/gas mark 6. 7. Place bread on baking sheet. 8. Combine butter, garlic and paprika and spread on one side of each slice of bread. Combine cheeses and sprinkle evenly over butter. Bake until bread is crisp and cheese is bubbly, 10-15 minutes. The classic rösti; cheap, easy and so tasty. Grate lengthwise the peeled potatoes with a box grater or a food processor. Wrap the grated potato in a cloth and squeeze dry, you will get a lot of liquid over ½ cup, discard liquid since it is full of potato starch. Return dried potato to bowl add the egg, cornflour, pepper, and salt. Preheat a frying pan (cast iron is best) until medium hot, add 2 teaspoons of oil wait until oil shimmers. Place half of mixture into the pan, flatten with a spoon until you get a smooth flat surface. Lower heat to medium. Pictures of process – Peel 1 kg spuds, grate lengthwise, squeeze dry, add 1 egg, 2 tablespoons starch, salt and pepper. Pan fry. 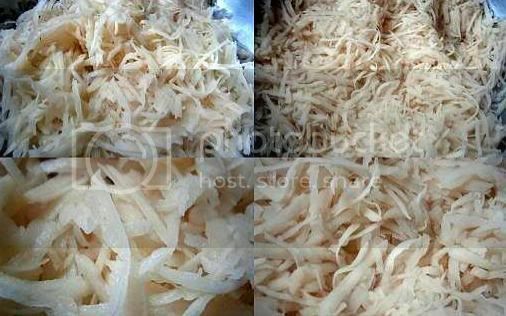 Pictures of the grated potato before (left) and after (right) squeezing dry. 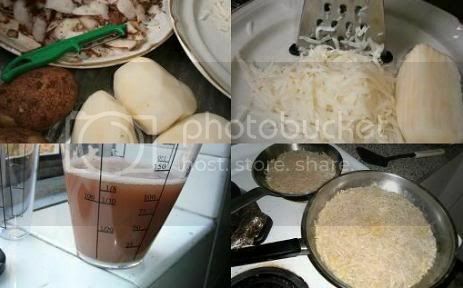 Notice in the left hand pictures the gratings are covered in moisture and starch, while in the right hand pictures the grated potato is dry and doesn't stick together. I had some leftover chicken legs and boiled potatoes from dinner last night so I made up some patties. 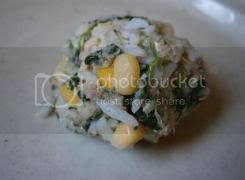 The patties are made from 1 kilogram of finely grated cold boiled potatoes, 4 chicken legs meat removed and finely chopped, and one can of corn kernels. The binder was one egg and 1/4 cup of self-raising wholewheat flour. 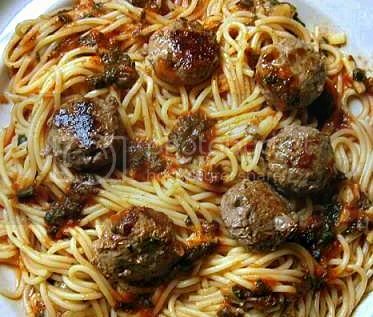 I made meatballs using high quality ground veal and pork (30% fat) I didn't use any binders in the mixture just a little seasoning chilli, garlic and dried mushroom powder. I adore Thai fish cakes but I have never really made them I was surprised how simple it is if you have a very strong food processor. Basically you make a paste from 1/2 kg (1 lb) of white fillet fish (I used catfish (basa) fillets) with 1 egg and 6 tablespoons of flavourings (a combination of 1 Tbsp fish sauce, 1 tsp chilli, 2 Tbsp red curry paste, 1 Tbsp coconut cream, 1 Tbsp chilli crab flakes, 1/2 tsp sugar, 1/2 tsp salt, 1/2 tsp shrimp paste, a few spices), 6 kaffir lime leaves and 2 tablespoons cornflour (cornstarch) with a teaspoon of baking powder, you form small patties (each 2 tablespoons) from the paste and pan fry until cooked. These are just as good as the cafe ones I buy and only cost about 30 cents each instead of $1.90 at the cafe. 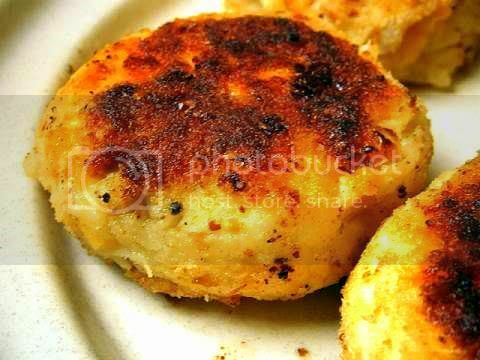 A good basic recipe for Thai fish cakes is here http://thaifood.about.com/od/thaiseafoodrecipes/r/classicfishcakes.htm I added some extra baking powder and cornflour to the basic recipe since it makes the cakes rise and the interiors are light and fluffy. Super tasty and so cute. 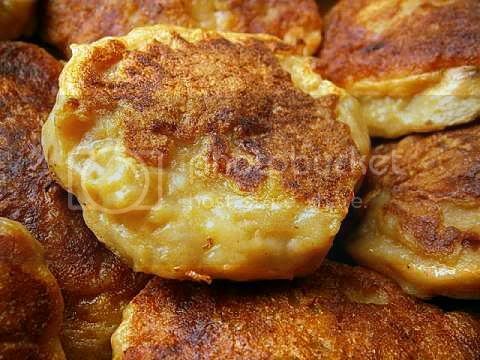 Most rissoles, croquettes and dry fritters keep well for three or four days if covered and kept in the fridge. Uncooked and cooked rissoles and croquettes can be frozen for at least one month. I made the potato rosti with a mushroom sour cream sauce and absolutely loved it. So simple yet so good! Thanks for another great challenge! Thanks for a great challenge. Everything you made looks great! Thanks for a great challenge! I made a very simple salmon patty, but I love incorporating tips from the challenge to make them even better. I can't wait to get back to some of the variations that were presented. Thanks, Audax, for another well thought through challenge! Thank you for the challenge this month! I tried the fish cake recipe you provided and it was delicious. Thanks for the amazing volume of information you put together on this. It was interesting, and definitely helps with considering variations. And as always, your own versions look great! Thank you so much Audax for another brilliant challenge and the amount of info, helpful notes and effort you put into this challenge. Wow Audax! Double host with the most! Thanks for a great challenge - it was fun to have a challenge with so much freedom and have your excellent guidance along the way. Fun challenge Audax - I only managed to make the rosti but I may come back later to make your zucchini fritters or try to make something of my own. Your rosti recipe was a little different than I have seen elsewhere but it came out great! Aloha Audax-thanks for a fun challenge this month. Looks like everyone had a good time. I did after I got over my patty paralysis! Can't wait to try some of your recipes. Once more I have to thank you for all I've learned in this challenge. I was very tempted to try rösti, but I'm so in the mood for Korean food.... I'll come back to it soon. You made so many different types of patties, all delicious looking. Thank you for being so supportive during the month. Double hosting must have been loads of work, and all of us appreciate it! ,Congratulations on the amazing challenge! Thanks for another wonderful challenge, Audax! Your patties all look amazing! What a great challenge! Thanks for sparking some pattilicious ideas! Thanks for the challenge, and your usual awesome coverage of a subject. All the patty recipes sound marvelous, and I'm determined to work my way right through them. So much great information on this challenge. Love all the research and great recipes you came up with. Thanks for all the hard work! Thank you so much. You have been an amazing host with soooooo much detailed research and help in the document on the patties and scones. Thank you very much!! The patties were really tasty, all of them! Audax, you rock! This was such a fun challenge it's hard to believe you and Lis put it together on short notice. Thanks for the wealth of ideas, recipes, and information. Well done! thanks for the challenge Audax! Had some great recipes to try! Thanks for a great challenge! You've really been doing overtime in the Daring Kitchen recently! You have such a great selection of patties, but the first one I want to try is the Thai fish cakes. They look scrumptious. 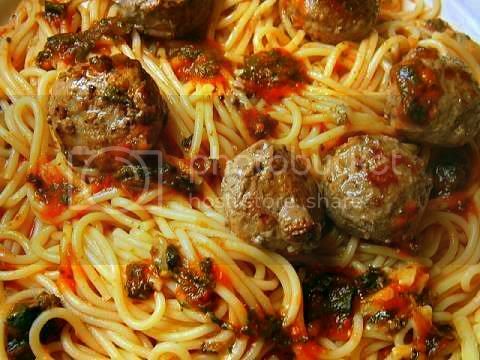 All your patties look fantastic as always, but your meatballs are really calling to me from that mound of pasta! Thanks again for all your hosting duties as of late! I'm always so impressed by how you attack every challenge with so many variations. Every version you made looks delicious!!! Thank you for a fantabulous challenge! I loved it. I am working with your axiom and the improved formula to revisit my theory at the holidays. Thanks for participating in my fun, in various arenas! Your potato rosti is the same as my latkes only giant one! Thanks for a great recipes and such a versatile challenge. Your fritters are picture perfect! Last time I grated zucchini into fritters they were a wet mess, in spite of salting and squeezing out the liquid. It might be time to be brave and try again. Thanks again Audax, for this challenge. I actually have potato fritters on the menu for next week. I have got to try the Thai Fish cakes now! This was such a great challenge - thanks so much for hosting! I really enjoyed it.